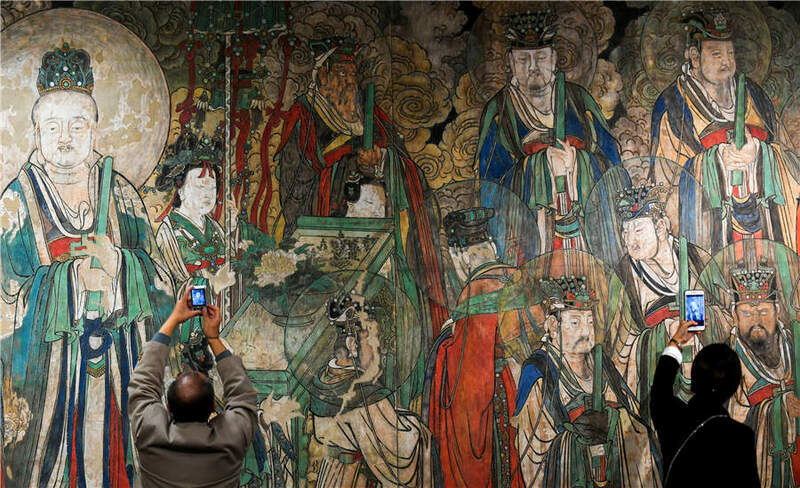 More than 80 pieces of ancient Chinese murals lost overseas finally "returned" home thanks to the new technology during an exhibition at the Taiyuan Art Museum in Taiyuan city of Shanxi province. 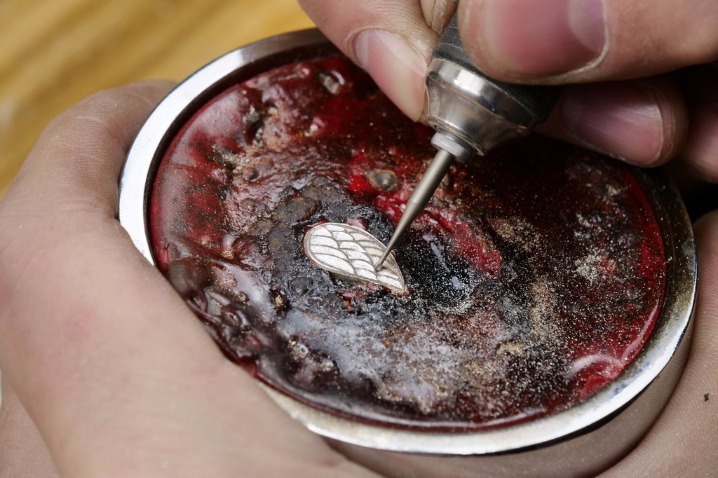 By using the traditional mural technique, modern materials and high-tech means, the Liu Haisu College of Art of Jiangsu University of Technology has replicated and reproduced the ancient precious murals lost abroad. The Yongle Temple mural Chao Yuan Tu exhibited this time is reproduced with a proportion of 1:1 by using high-tech means, as the original mural is now collected in the Royal Ontario Museum in Canada. Ancient Chinese murals are now housed in many foreign countries such as UK, France, Germany, US, Japan, India, Canada, Russia, and South Korea. Therefore, for a long time, the replication and imitation of these murals lost overseas become a way to make up for the loss, and an approach to protect the information and value of murals.